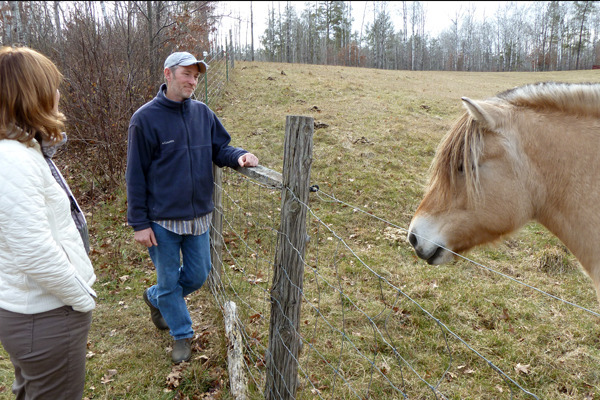 This week we added to our Icelandic flock with assistance from David Grote at Whippoorwill Farm in Iron River, Wisconsin. 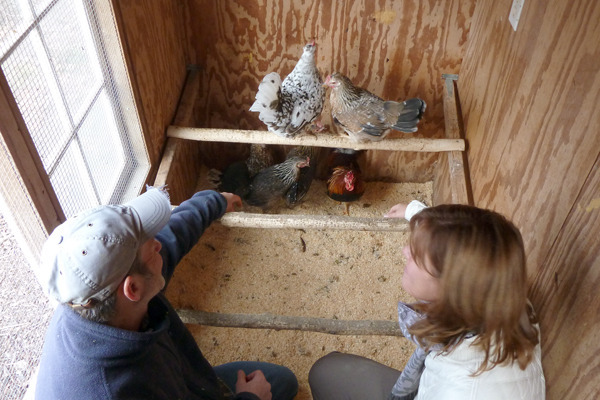 We took a road trip to Whippoorwill Farm and purchased two hens and a rooster, with the intentions of adding the hens to our pair, and giving the rooster to Theresa, one of our chicken benefactors. 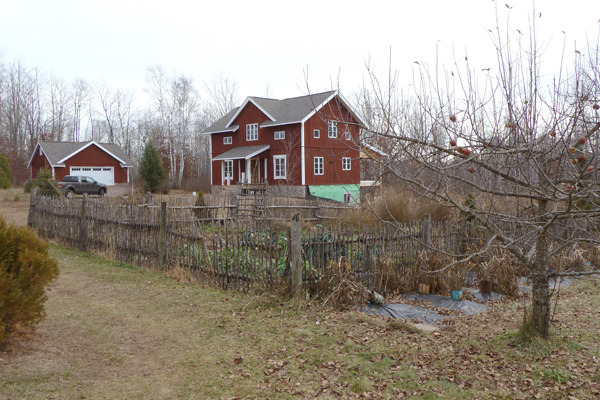 Whippoorwill farm is beautiful. 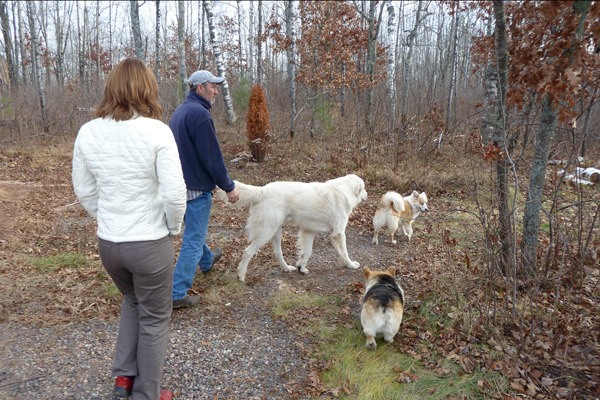 Even the overcast chill didn’t take the spark out of the rolling hills and happy animals–three farm dogs, Priscilla the fjord horse, a pile of Icelandic sheep and an energetic coop of Icelandic chickens. 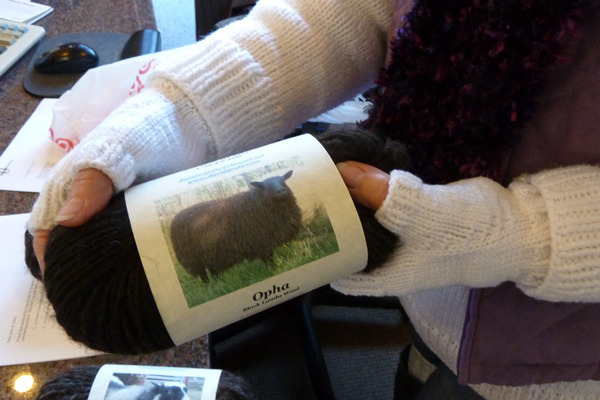 We had a great time, and finished our trip with a purchase of some of the beautiful hand-spun yarn David makes from his sheep’s wool. 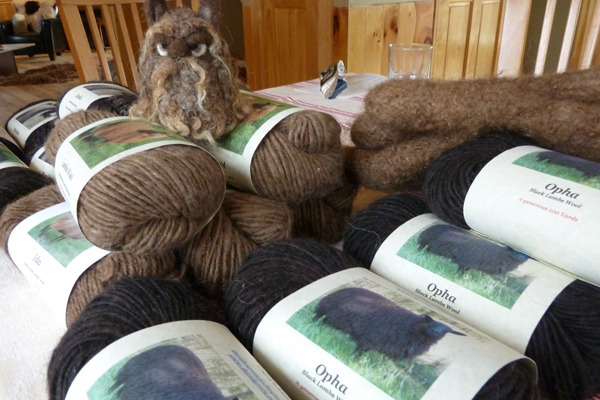 We’ll keep you posted on what creations come of the yarn from Monika and Opha. 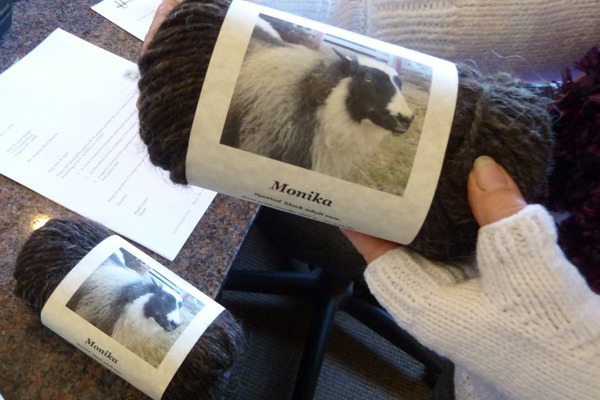 Vickie, our knitting friend, will whip up some warm goodies–note her matching sweater and half-gloves. 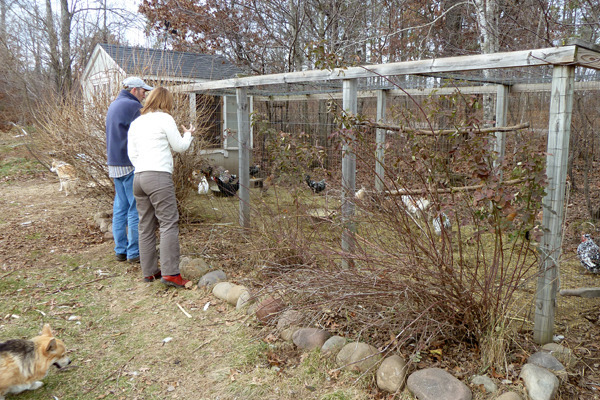 Theresa reports that the rooster is really mellow and is working well with her flock. 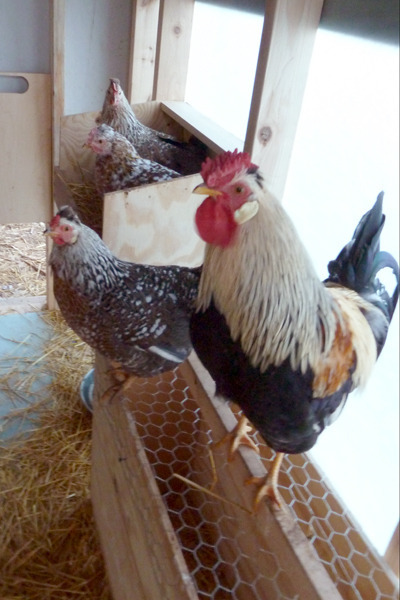 Our chickens have been a different story–we now have Matilde on her own for awhile, to reflect on and hopefully reform her actions and stop pecking at the new hens, Bianca and Björk, who are patiently sitting in the background of this photo.